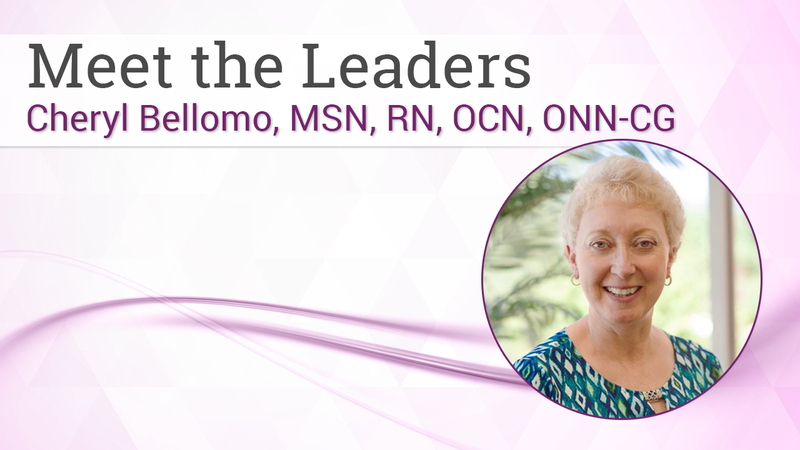 Cheryl A. Bellomo is an oncology nurse navigator and oncology clinical trials coordinator at the Intermountain-Southwest Cancer Center at Cedar City Hospital in Cedar City, Utah. Prior to joining Cedar City Hospital, Cheryl had more than 20 years of clinical experience as a registered nurse. She received her RN degree from St. Vincent Charity School of Nursing in Cleveland, Ohio. She continued her nursing education at Western Governors University, receiving her bachelor of science in nursing degree in 2014 and master of science in nursing degree in 2015. In her role as a nurse navigator, Cheryl is responsible for the facilitation of the medical and radiation treatment processes for cancer patients from diagnosis through survivorship and helps to guide patients through the collaborative process along the continuum of cancer care. In addition, she assists in the development and ongoing evaluation of the cancer care program in conjunction with the Oncology Clinic Program. Cheryl also serves as an oncology clinical trials coordinator, assisting the Intermountain-affiliated physicians in the registration of patients to oncology clinical trials. Cheryl is a member of several professional societies, including the Oncology Nursing Society, Academy of Oncology Nurse & Patient Navigators (AONN+), National Consortium of Breast Centers, and the Southern Utah University Honor Society of Nursing. She also serves on 2 AONN+ committees, the AONN+ Certification Exam Task Force and the AONN+ Evidence into Practice subcommittee, and is a member of the CONQUER magazine Editorial Advisory Board.